Featured Project: Qikiqtani Truth Commission | Contentworks Inc.
Photo: Pangirtung Hearing, Qikiqtani Truth Commission, 2008. Credit: Contentworks. The Qikiqtani Inuit Association (QIA) administers Inuit lands in the Baffin Island areas (also known as Qikiqtaaluk) under the terms of the Nunavut Land Claims Agreement (NLCA) that created the territory of Nunavut. 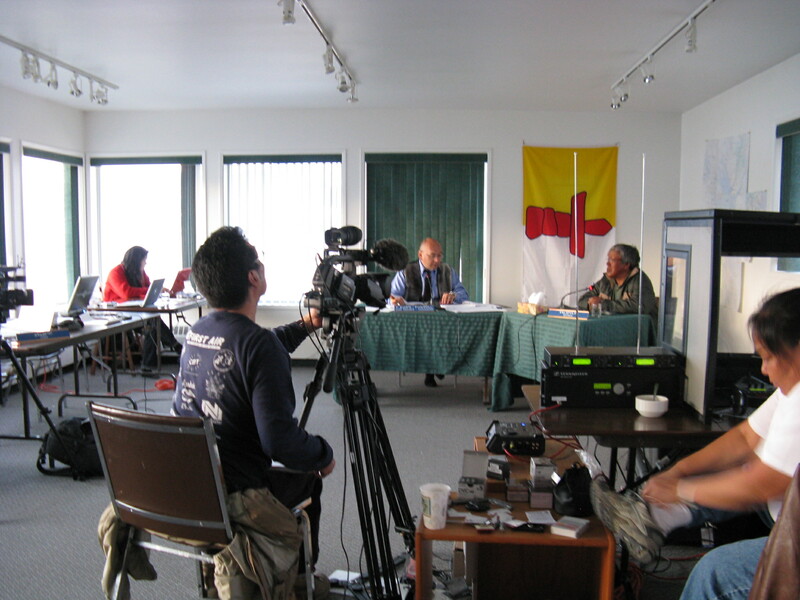 Beginning in January 2008, Contentworks was privileged to serve in a public history capacity for the Qikiqtani Truth Commission (QTC). The QTC was a unique and exemplary example of both historical research and social justice. The Commission was funded almost entirely by Inuit organizations, including Nunavut Tunngavik Inc. and QIA.The Commission was created by QIA in to investigate facts, interview witnesses, hold public hearings and report on government decision-making prior to 1980. Hearings were conducted in each of the 13 Qikiqtaaluk communities and in Ottawa. The hearings focused on various issues related to government administration in the Arctic, including the killing of sled dogs, settlement development, the provision of healthcare and other matters connected to the economic conditions and general well-being of Inuit.The Commissioner’s report produced in 2010 includes recommendations designed to foster mutual respect, awareness and a sense of inclusion in Canada. The Commission set out to deliver an accurate history of past events through a combination of public hearings and research. Contentworks conducted all of the historical research for the QTC, organized, indexed testimonies and wrote 22 research papers. The firm also assisted in the production and editing of the Commissioner’s report in written and video formats. 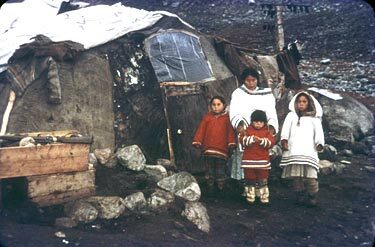 Photo: Inuit in front of a tent. Clyde River, Nunavut. Credit: Health Canada / Library and Archives Canada / e002394408. Contentworks was responsible for writing analytical reports, conducting documentary research and the development and population of a database of documents (currently about 10,000 items) from archives and government repositories across Canada and in the United States. To supplement the existing knowledge base, Contentworks assembled a support team with capabilities and skills tailored for the project. They included an independent expert in the history of the Eastern Arctic, a doctoral student studying Inuktitut and Inuit culture, and a research assistant with a Ph D in History. Contentworks is now supporting QIA in a project to make historic information more accessible to Inuit and other researchers. Conducting research and gathering copies of documents from archives across Canada and in the United States on events and decision-making spanning the 1950s to ‘70s period. Developing a database with linked documentation that allows QTC staff and consultants across Canada access to research materials at all times. Writing background reports on the history of the 13 Baffin communities visited by the Commissioner. Investigating RCMP holdings relevant to the Truth Commission’s objectives. The management and storage of all research materials in electronic format. Writing analytical reports to populate appendices to the final Commission report. Assisting the QTC in choosing online options for dissemination of Commission information and research materials. Coordinating translations of documents and interviews in Inuktitut and English. Authoring summaries of all testimonies. Providing general support to the Executive Director of the QTC. The QTC completed its hearings in early 2009. The Commissioner visited 13 communities in the Qikiqtani region. 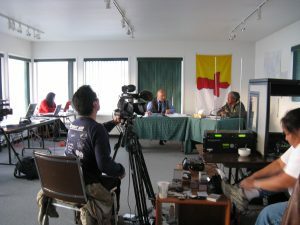 In all, more than 350 Inuit and non-Inuit testified on a range of subjects, including the alleged slaughter of sled dogs by the Royal Canadian Mounted Police, the delivery of health care and education, the impact of moving into government settlements, as well as the treatment of Inuit by the Hudson’s Bay Company and government officials. 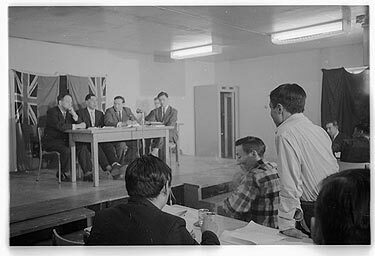 Contentworks historians attended hearings designed to give Inuit an opportunity to explain how government decisions had affected their lives. The amount of information accumulated and knowledge generated through Contentworks’ contribution to the QTC is tremendous. More than 60 000 pages of archival documentation were copied, digitized, and entered into a database. Previously, this material had been inaccessible to Inuit in the Baffin Region because of access restrictions and the physical distance between Qikiqtani Inuit and the repositories holding their written history. With these impediments in mind, Contentworks negotiated copyright permissions for most of the digitized material in order to make this information accessible to Qikiqtani Inuit. Additionally, Contentworks designed and implemented a structure for collecting and archiving the important testimonies provided to the QTC. The value of these testimonies as a source of Inuit Oral History grows by the day and because of Contentworks methodical and conscientious supervision, the Qikiqtani Inuit Association can rest assured that these histories are protected and accessible not only for future Nunavummiut but for all Canadians. Beyond the collection and organization of data, Contentworks wrote important analytical research reports that explored important issues of governance, intercultural communications, and government programs. These reports provide a base of knowledge for QIA projects and priorities in the future and for scholarship. Already, QIA and independent academics and scholars are examining the results of the work, which Contentworks is helping to disseminate through participation in conferences and meetings in Canada and the US. The digitized material, analytical background reports and community histories prepared by Contentworks, not only provides a wealth of useable material and information for residents, curriculum developers, and policy makers but they also provide answers to important questions Inuit posed. Despite the scope of Contentworks contribution, there is still much to be done to fully understand the impact of modernization on Inuit in the Qikiqtani Region. Contentworks is proud that all of the products it created in this three-year project can be used as resources and building blocks for important works yet to be completed. The following reports were written by Contentworks Inc. The managing editor was Julie Harris. Photo: Frobisher Bay, NWT. Eskimo Co-operative Conference, 1963. Credit: Ted Grant / Library and Archives Canada / e004665940.